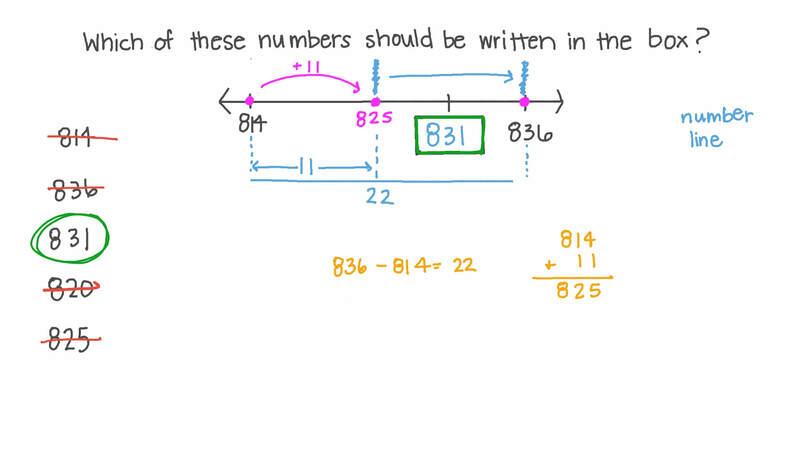 In this lesson, we will learn how to locate a whole number on a number line with some numbers given and others missing. 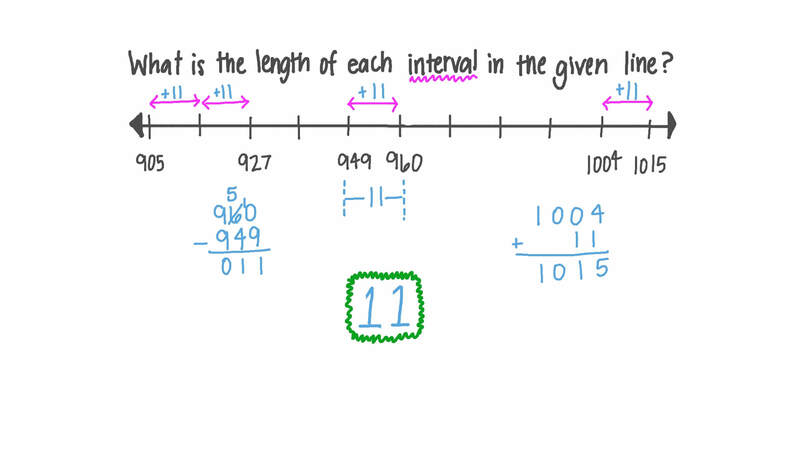 What is the length of each interval in the given line? What is the difference between point 𝐿 and point 𝑁 ? This line shows a sequence of whole numbers. What number is 𝐴 ? Which of these numbers should be written in the box? 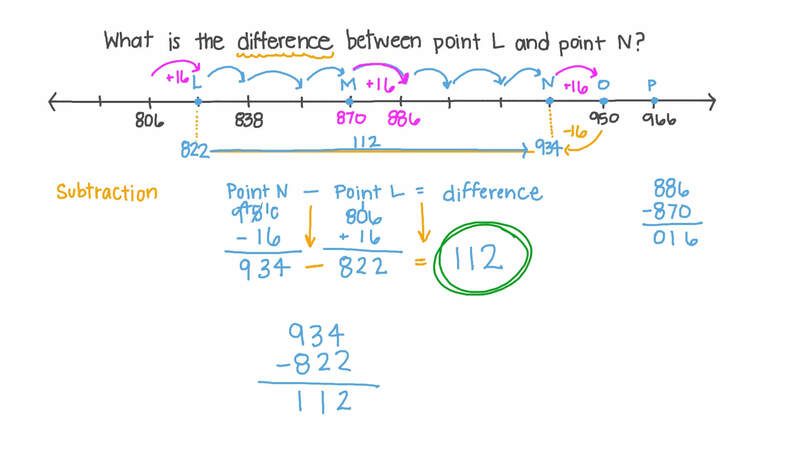 What is the difference between point 𝐿 and point 𝑂 ? What is the difference between point 𝑀 and point 𝑁 ?